It's off to dreamland for glow-in-the-dark adventures galore! 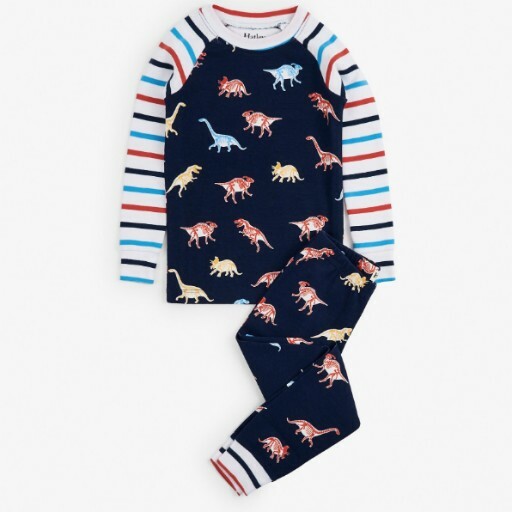 Your kid will sleep tight in these comfy and soft, GOTS certified organic cotton fossil pajamas. Sweet dreams! Features: Eco-friendly 100% organic cotton Made to be snug fitting Raglan sleeves Elastic waistband Contrast neck and cuffs trim Gusset at inseam Machine washable GOTS certified 100% organic cotton pajama.